Tuesday, September 11th at Sala Oshum in Palma there will be an ecstatic dance night which is an evening dedicated to dance without alcohol or drugs. This will be a monthly event. Friday 14th September there will be Prawn Star night at The Boat house. Grilled King Prawns, salad bottle of rosado, live music and the coveted title of Prawn Star 2018….your first pet’s name and your favourite sea creature…fun night. Sunday 23rd September SOS Animal Party at Puerto Portals which is a very important fundraising event for the charity. Every year they have a flea market, dog competitions (mixed breed dogs, pedigree dogs, and seniors get prizes), our raffle and delicious cakes, face painting and music. Looking forward into October there will be a pet behaviour seminar focusing on cats and their crazy ways. On 27 and 28 October Palma. You can email info@canatess.com to book your spot. The big event of the month happens at the end, in Binissalem. The Festa des Vermar which is the annual grape harvest festival that includes parades, celebrations, grape-crushing competitions and a wine tasting contest. You can look forward to live music, activities for children, wine tasting sessions, grape-stomping competitions and a popular picnic where the traditional “Fideus de Vermar” (a type of paella made with short noodles instead of rice, cooked with lamb, tomatoes, sobrassada and Binissalem red wine) is served. One of the highlights of the festival is the grape battle, if you are planning on going, wear OLD CLOTHES! Look out for the Dimonis and the Corre Foc, and the wine fair as well at the Parc de Sa Rectoria and Plaça de l’Esglesia. The final day of the festival sees traditional entertainment in the main square. Enjoy the Binissalem giant puppets accompanied by ‘xeremiers’ earlier in the day as well as free wine served from 16:00 in the church square. The full programme and dates have not yet been released so you will have to keep an eye on the Binissalem website. The Road Bike Festival also kicks off tomorrow and continues for four days. It’s a festival is dedicated to road cycling. 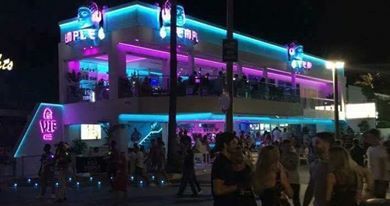 You will find it on the road linking Playa de Muro and Alcudia, and will feature parties, live music and stalls with the latest road cycling gear, workshops with experts, test rides, cycling races and lots more. Over the coming weekend of April 13, 14 and 15th up in Alcudia you will get the chance you’ve been waiting for to try cuttlefish, it’s not just for your budgie! Alcudia will be hosting its annual cuttlefish fair and there will be an exhibition, a craft market, a boat show, children’s parties and a playground, and a food market. On Saturday the 14th you can watch the final day of cycling racing of the Six Day Series. Having competed in London, Berlin and Copenhagen the final is in Mallorca with a party like atmosphere on the Palma Arena track. www.sixday.com/mallorca/ On Saturday April 14th there will be a Violin and Piano concert at the Teatro Municipal at 8pm. The duo will perform Vivaldi, Beethoven, Mozart, Chopin, Paganini and Malte Kahler. Also on the 14th the Lions Club of Palma will be present an evening of music at the Shamrock in Palma. You can book by emailing singen@lionsclubpalma.com the price is 40€ per person and includes a welcome drink, finger food and a donation to their charity. On Saturday April 21st there will be an open day at Fit Club in Son Caliu, they will have a DJ, a healthy food tasting including smoothies and the menu from Fitness Kitchen Mallorca. There will also be a competition to win a month’s training at the gym. On Sunday April 22nd there will be a Wim Hof Method day held at Finca s’Almudaina. The WimHof method has been proved to strengthen your immune system, you learn a unique breathing technique during the day. It is also a fantastic challenge because at the end of the day you sit in a bath of ice! You can get more information on my site. The Palma Boat Show starts on April 27th and goes through the weekend. At the same time, on the other side of the road the Palma Beer Festival will be doing its best to keep us all hydrated with 200 beer brands on offer. On Saturday 28th April the roads of Mallorca will be filled (even more so than usual) with cyclists doing the 312 when they attempt to cycle around the island. The International Day of Jazz is on April 30th, there will be several events and concerts on the Saturday the 28th and Monday the 30th to celebrate this. The organisers have not yet released details but look out for them on my website after April 19th. 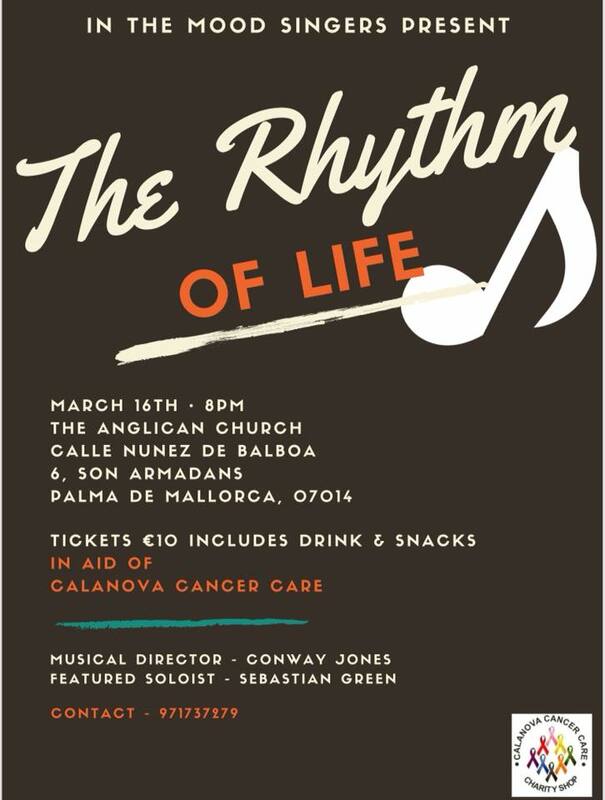 On Friday March 16th at 8pm you can join the Mood Singers for The Rhythm of Life concert in aid of Cala Nova Cancer Care. 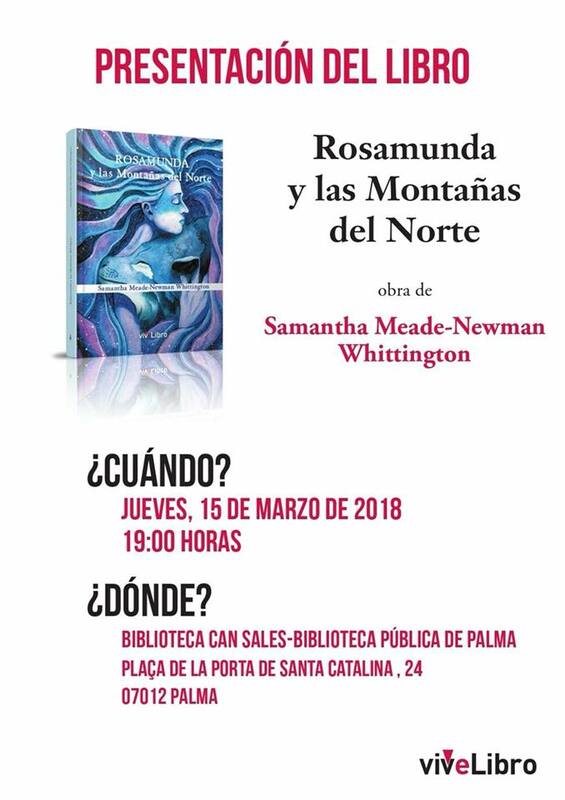 The event will be at the Anglican Church in Son Armadans Palma. Tickets are 10€ per person including a drink and nibbles. From the 16th to the 18th of March you can try out the island’s best craft beers and live music at the Bierkonig Centre in S’Arenal. 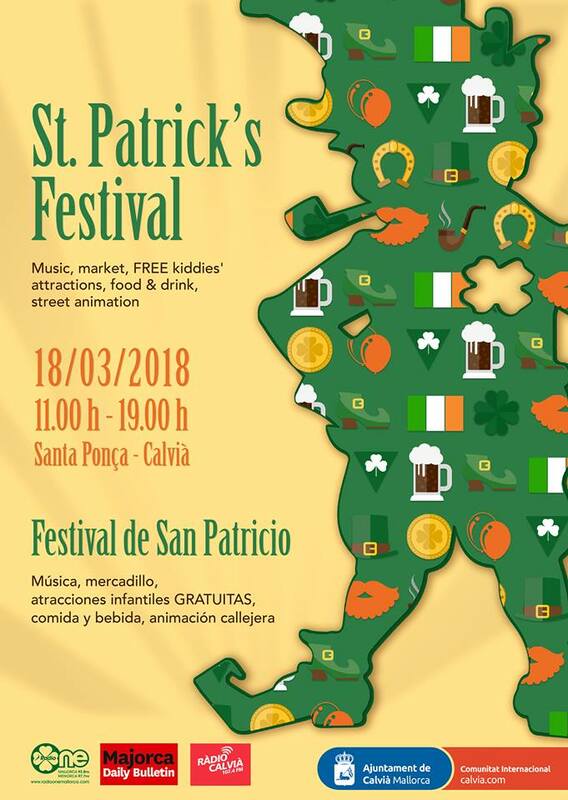 Sunday the 18th of March will feature the St Patrick’s Festival in Santa Ponca, there’s plenty of market stalls, entertainments, and the Guinness will be flowing! 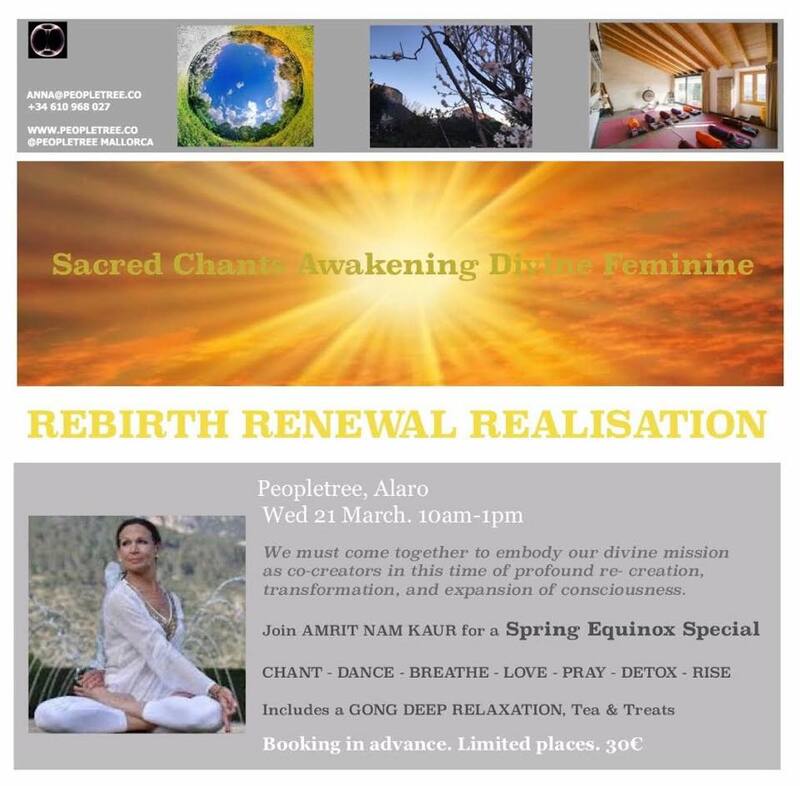 Also on Wednesday 21st March from 10am to 1pm there will be a Spring Equinox inspired session, the Sacred Chant Awakening the Divine Femine. It will be at Peopletree in Alaro and led by yoga teacher Jeanne Lurie. It will include a gong deep relaxation session. On the evening of the 21st of March you can catch the Moscow Ballet at Palma Auditorium performing Swan Lake. On the weekend of the 24th and 25th of March there will be the Sheep and Goat fair in Calvia village. There’s always loads going on, including plenty of animals to go and see, pony rides for children, market stalls and plenty of fun and games. 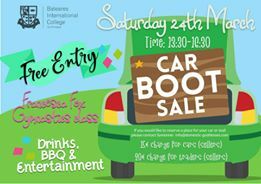 On Saturday March 24th there will be a Car Boot Sale at the BIC school in Magaluf from 1.30 to 4.30pm. Anyone who wants a pitch should contact the school in advance. 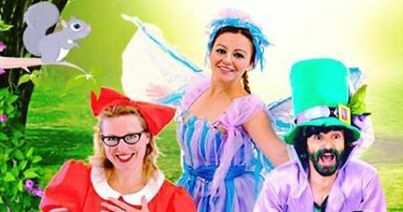 Also on the same day you can catch the Fiesta de la Primavera at Port Adriano, El Toro where they promise to offer loads of family friendly activities. 28th March art exhibition opening at the Century 21 Palm Beach offices in Paseo de Mallorca. The artist Sebastian Bispo will be showing his most recent works. 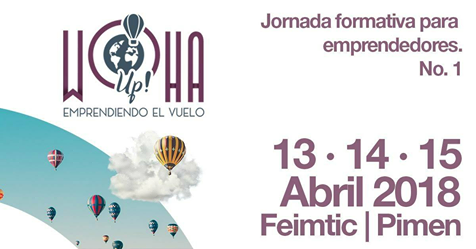 If you like fun fairs then you have until the 15th of April to go along to the Fira del Ram. It’s down beside the Son Castello industrial estate in Palma and is open every day. “Walking Works Wonders” was the theme of this year’s Charity Walk organised by the Rotary club of Calvia International and over 350 people turned out on Saturday 21 October to make sure that it does. There were over many schoolchildren from the eight International Schools taking part as well as adults, not overlooking a large contingent of canines who joined in too. The walk was planned by the Rotary Club with very close collaboration from the Ajuntament of Calvia, the police and an army of volunteers from the Club and other associations on the island. There was a 10km walk for the older children and the fitter adults (and the more energetic dogs) from the Sports Centre in Magaluf to the Agora School in Portals and back. The less young and children and some dog walkers did the 2km walk from the same starting point went but went down through Magaluf and back. All of those walking enjoyed the warm sunshine weather and the social atmosphere. The aim was to raise a substantial sum of money for three charities – RANA which focuses on help to prevent child abuse of any description, JoyRon, which raises money for children in the Balearic Islands and in this case, money will go to help meet the cost of constructing and fitting out a cinema in Son Espases for children who are undergoing palliative care. Last but by no means least, money raised will also go to Association Ondine which is trying to preserve the marine environment in the Balearics for the benefit of future generations. 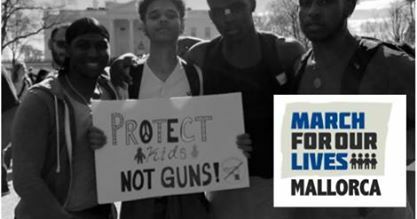 Three very worthwhile causes. This year too, in association with Association Ondine the Rotary Club Calvia International sought to discourage the use of single use plastic bottles and promoted the use of reusable bottles by providing free water at the start/finish and mid-point of the walk: another positive step by the Club to help others and the environment. The International Schools are the main contributors to the walk, not only from their participation on the day of the walk itself but through the young children in the infant schools of some of the schools walking in the grounds of the Schools. Money was raised not only by the Rotary Club charging a registration fee to enter the walk (the fee included some food and refreshments on completion) but a lot of the walkers were sponsored by parents, friends and colleagues. After the walk, everyone enjoyed the refreshments and entertainment provided by Izzy Newman and children from BIC as well as a belly dancer. Some even joined in the performance! Casa Corazon a beautiful luxury property development in Son Gual sponsored the after walk refreshments (www.casascorazon.es), Generali, the insurance company covered the walk’s public liability insurance as they do every year (www.generali.com), Spectrum IFA (www.spectrum-ifa.com) sponsored the water, and Nice Price donated chocolately treats (www.niceprice-mallorca.com). The Town Hall in Calvia provided their full support for the event. Club President thanked all participants for generously giving up their time and the various sponsors for their contribution. It will take time to determine how much money has been raised, currently they have received 5000€ but it is likely that the three charities which are to benefit will not be disappointed. It’s the spooky Halloween edition of the Grapevine. It seems like Halloween gets bigger and crazier every year on the island. This year I was asked to photograph the Pirates Adventure show which is always hugely popular. I arrived early to capture Sade and Nikki creating some very creepy makeup looks for the cast. And then roamed around taking photos of as many people as I could. The show was a mixture of the acts from the family friendly Pirates Adventure and the much more risque Reloaded with some extra special additions such as the excellent violinist who performed reworked versions of pop hits. The show was a great way to finish the season, and I hope the cast and crew enjoy their time off before they restart next year. After the glitter had settled at Pirates I was off into Palma for the next part of my Halloween evening which was taking photos at SoCial, a new club on the Paseo Maritimo opposite Titos. Fire breathers, contortions, dancing girls, acrobats, creepy doctors and a sword swallower entertained the big crowd of revellers. I had a quick chat with the Great Bendini (the contortionist and sword swallower). I asked him when he had realised that he could swallow swords and he looked at me as if that was the dumbest question he’d ever been asked, “I had to learn how to do it” he replied, err, yeah, Vicki, of course. Doh. He really does swallow swords, they weren’t trick ones! And they go all the way down to his stomach. Yuck! Did I see you on Thursday evening in my little village? In amongst the approximately 6000+ people who were stood outside of my front door? s’Arraco, which is between Andratx and St Elm down on the SW corner of Majorca, only has 2000 inhabitants, so for one crazy night every year our population trebles as we are inundated with visitors. There’s nowhere to park, you have to get a shuttle bus or a taxi from the nearby towns or walk, or cycle, or roller-skate, or hover board or do whatever you have to do to get there. Our village is full for that night and it’s so much fun that as soon as this year’s Night of Art is over we all start looking forward to the next one. Neale coordinates the more than 140 artists who exhibited on Thursday night, myself included, plus the musicians and other acts, and organises the programme and publicity. It’s probably quite a headache to do but he seems to always be in a good mood so I think he enjoys it, even the stress! But Neale’s and everyone’s hard work certainly paid off as it was a fantastic evening filled with energy, laughs, friends, and probably too many mojitos if my head was anything to go by on Friday. The event attracts artists from all over the island to participate and it is really fun to do. There really isn’t a spot in s’Arraco which doesn’t have some art in it on this evening. Sculptures fill the only town square, paintings are hung from many doorways and fences, gardens, shops and cafes are opened to artists to exhibit in, everywhere you turn there it is. And not just art work, but music as well. Ten bands played throughout the night on strategic street corners, acapella, jazz, Spanish, rock, swing, blues, world music and lots more. Plus street performers dancing with fire and walking on stilts, and performances in our little municipal theatre as well. There’s actually no way one person could possibly take it all in, but everyone tries and there’s a constant movement of people as they roam around the streets. As and when you’re in need of refreshment there’s food stalls run by local associations and our local restaurants. One of the restaurants, Es Raco de Puput said they’d served 1400 tapas! To put into perspective how many people come to the Night of Art: walking from my house to the centre of the village normally takes five minutes, on Thursday evening it took thirty. It’s wonderful to realise so many people want to support art and culture and have a great night out in the middle of the week. Well done to everyone who exhibited and thank you to Neale for organising such a vibrant and fun party for our village. If you didn’t make it this year then there’s always 2018. Viva s’Aracco! I popped past The Wednesday Group headquarters last week to take a couple of snaps of them before they broke up for the summer. This industrious bunch have been making toys for the Allen Graham Charity, knitted knockers for the Cancer Support Group to donate to people who need breast prostheses, and shawls for wheelchair users and twiddlers for people suffering from dementia for Age Concern to donate. I’d never seen a twiddler before and I was quite fascinated by them. They are very pleasing to hold with chunky knit outside and a felt inside with plenty of different things attached to them to fiddle with. Apparently they are used by people with dementia as a way to occupy their hands and it has a calming effect on anyone who is feeling distressed. I’ve got to say I’m glad that I don’t need one, but boy I would like one! The Wednesday Group will restart in September. Anyone who wants to join them is very welcome to go along and get stuck in. You can contact Kay Halley at the Universal Bookshop or call her on 971 676 116. One of the most prolific joke-tellers of recent times, Jimmy Carr will be embarking on a mammoth world tour in 2017 and 2018. With an astonishingly vast repertoire and lightning-sharp delivery honed from fifteen years at the top, Jimmy is gathering a selection of his very best jokes along with brand new material for the ultimate comedy show, and he’s coming to Majorca in August to perform at the Auditorium on the 23rd! Jimmy has been on the stand-up scene for a decade and a half. In that time he’s performed 9 sell-out tours, playing nearly 2,000 shows to over 2 million people across 4 continents. He’s won the British Comedy Award for ‘Best Live Stand-Up Tour’ and been nominated for the Perrier Award. Another gig I’m looking forward to is Michael Bolton who will be playing Son Fusteret on August 12th. I recently wrote about Angel Flukes who will be supporting him and I’ve heard that tickets are selling well, so it’s probably time to get yours. In my role as “person who overshares on Facebook about healthy food recipes and being kind to animals” I was invited along to A Ma Maison restaurant in Santa Catalina by the owner Saloua. She treated me to her new recipes that she is working on to offer to her clients who may want to eat more healthily, and plant based. I was really impressed with her ideas, and particularly liked the beetroot tartare. Saloua grows a lot of her herbs and even some of her veggies out the back of her restaurant where she proudly showed me her kitchen garden. I don’t care if you think this is biased, but my perfect little village, S’Arraco in Andratx will be holding its Night of Art on the evening of Thursday July 27th. Put the date in your diary. It really is worth the trip over for a great cultural night out. There will be lots of live music, wine, food, and art to gawp over. Parking can get a bit tricky in the village and there will be a shuttle bus running from Andratx so park there and the bus over from in front of the Eroski. VEGAN DAY OUT A SUCCESS! Well done to Scott Adams who managed to pull off something brand new for the island, a vegan festival! The location for the first event was at Son Amar in Palmanyola and featured workshops, stalls, cruelty free products, yoga, plenty of activities for children and some very interesting looking drinks! Apparently between 800 and 1000 people attended. Scott is already working on the next event which will be on August 23rd, location yet to be confirmed. Here’s the thing. I read this week about children spending less time outdoors than prisoners. Can that be true? Given that I first saw it when someone shared a Daily Mail article online I could imagine that the truth has been massaged, but even so, children have to go outside in playgrounds at school don’t they? The study from the Play In Balance report by Persil’s Dirt Is Good campaign said that 18% of children never play outside at any point. “One in ten mothers and fathers have never been on an outdoor adventure with their child”. Is that more to do with the motivation of the parents than anything particularly preventing them from going outside and getting involved, or is it to do with our work life balances being so out of kilter that there is literally no daylight left in which to do things with our offspring? The kids are still playing, but on computers, or indoors in less adventurous circumstances. This has led to a response from many people about how, in their “day” this was not the case, we were thrown out of the front door at 8am with a cheese sandwich in our pocket and not let back in until teatime. The big question, I guess is would this have a negative effect on children long term, or is it just us oldsters freaking out about how we think things should be versus how they actually are? The people who participated in this report probably didn’t remember the TV programme “Why Don’t You?” which was specifically aimed at me and my little brothers to inspire us to stop watching the TV and go and make spaceships out of toilet rolls. Things haven’t changed THAT much, in my opinion. You have to encourage children to do things, they need their mums and dads to be passionate about hobbies, these things are contagious in my experience. What’s your passion, or your poison? What makes an interest in something healthy or harmful? I was a 20 a day smoker for twenty plus years, that’s pretty bad for you, we all know that. I stopped, finally, successfully four years ago. I would smoke a cigarette twenty times a day, damaging my body and affecting people around me. But strangely, it was hardly ever mentioned as being a problem. In fact I would find people who wanted to be my allies, in order to give them permission to smoke as well I guess, as if it was our ‘right’ to smoke. Regular readers of my column will probably have noticed my ongoing interest in getting fitter and healthier, including my personal goal which I set three years ago that I would be able to do a handstand by the end of that year, I didn’t achieve it, I was so out of shape. Strange then that if I decide to take up healthier pursuits that some people think they have the right to comment on it, suggesting in some way that my lifestyle choices are harmful to me. I’ve experimented with different types of diets, specifically a vegan diet for the whole of January, which garnered many comments. “Where will you get your protein from?”, “There’s nothing wrong with cow’s milk”, “Are you one of THOSE funny eaters?”. The reality is that aside from writing about it in these pages I didn’t really speak about it to anyone, and yet it seemed to inspire derision from some quarters. It took me some time to realise that actually these people were simply challenged by what I was doing, because they saw it as a reflection on them, rather than my simple decision to try something new. Firstly, there is a collection being done by Antonia Triguero for refugees who are currently arriving on the Greek island of Kos. She has managed to get a shipping company in Inca to pay for a 40 foot container to be sent over there, and she has until this Friday to fill it! She is looking for: donations of: tents, sleeping bags, blankets (but not heavy), baby carriers, strollers, wheelchairs, comfortable walking shoes, socks, underwear, travel bags, raincoats, nappies, women’s sanitary towels and tampons, soap and shampoo (small 200 ml bottles), toothbrushes and toothpaste, sweatpants, summer hats, spring jackets, baby wipes and powdered milk. If you check on the TRE website later there will be a list of the collection points in and around Inca and across Mallorca. This Thursday is St Patrick’s Day and at Sanddancers Bar in Cala Bona you can join in their Annual “ST PADDIES PARTY NIGHT!” which is always a lot of fun, laughter, and I guess a few Guinnesses as well. There will be Irish music and free Irish hats for everyone. Or you can popover to Heroes Bar in Portals where Hugh Carville will be organising his last quiz of the winter season. If you like Deep House and Yoga then why not try experiencing both at the same time on Friday evening when Saskia Griffiths presents a two hour session, she describes it like a “yoga party”· It’s from 20.30 until 22.30 at the Zunray Yoga Studio in Palma. On Saturday March 19th you can take in the sights and sounds of the Santa Margalida Agricultural Fair which kicks off the Spring fair season. There’s normally something for everybody from farm animals to displays of classic cars. On Sunday March 20th you can enjoy a great St Patrick’s Day festival in Santa Ponsa where there will be more than a hundred market stalls and a parade through the streets in the afternoon. Also on Sunday 20 March there will be a fundraising event at SPAP in Palma in support of some of their animal loving colleagues who have been fined for protesting about an upcoming bullfight on the island. That will start at 11am and go on until 4pm. There will be talks about animal welfare, a raffle, a market, a quiz, live music and vegan food on sale. Then we are into the Easter celebrations which are always quite amazing in Mallorca. If you want to entertain, or even scare, the kids a little, then take them along to the Fira del Ram funfair in Son Fusteret close to the Son Castello industrial estate in Palma. The funfair is open every day until Sunday April 10th. If you like eating then pop along to the Street Food festival in Port Adriano during the weekend of the 25th, 26th and 27th of March. It’s on every afternoon from 5pm to late, you can eat yourself around the world and check out some rather cool looking food trucks and other vehicles as well. On the Saturday of the same weekend, if you like nature, hiking and adventure sports then nip up to Escorca in Lluc for a day discovering businesses and like minded souls at the Nature Esport exhibition. The Corner Bar in Palma is having an anniversary bash on Saturday 26th March. They’re also hosting speed interviews for wannabe crew. Super ya cht professionals will be returning to the Corner Bar to help them celebrate their anniversary and welcome new crew to Palma, helping them to find their feet here, offering support and advice in job hunting, training, and CVs. Also on Saturday March 26th local artist Vivian Borsoni will be exhibiting at her studio on Calle Fabrica 13b in Santa Catalina in Palma. She will be joined by another artist, Birgit Dierker. They are both very popular artists, and it’s well worth a visit. The show will open at 18.00. On Sunday March 20th there will be a Asociacion Ondine beach clean up at Playa Es Trenc from 11.30 until 15.00. It’s organised with a Facebook group for Palma Yacht Crew, but everyone is encouraged to join in. In February 120 enthusiastic and environmentally responsible beach cleaners cleaned up the Eastern half of Playa de Es Trenc and collected more than 500 kilos of rubbish. It was a beautiful day out on the beach for everyone. So with the hugely positive experience freshly in mind, they will now attack the Western end of the beach this time leaving it completely free of plastics ! They will be meeting in Ses Covetes on the Western end of Playa d’Es Trenc at 11.30 hrs. After finishing with the clean up, delicious baguettes with different toppings will be available for 5 Euros a piece as well as beers, sodas and water straight from the ice cooler. All proceeds will go to Asociacion Ondine. Don’t forget to bring with you heavy duty plastic bags, gloves, snacks, water and some money for lunch – and if you are brave; a swimsuit !